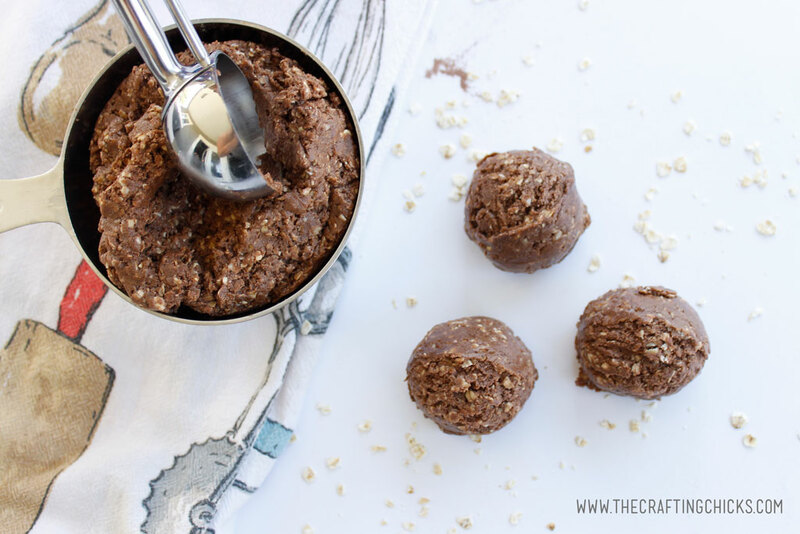 Chocolate No Bake Cookie Protein Bites are great snack idea for the whole family. 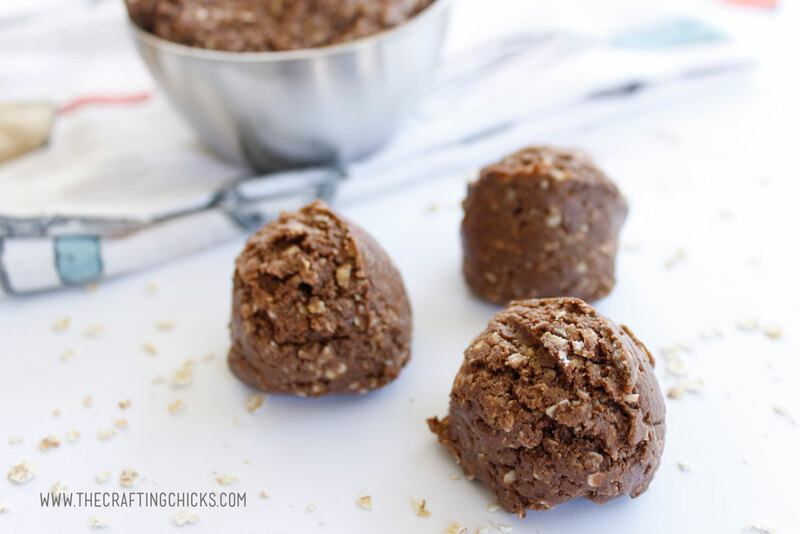 These yummy protein bites come together quickly and will disappear just as fast. They are so delicious. I swear summertime equals kids are ALWAYS hungry time! 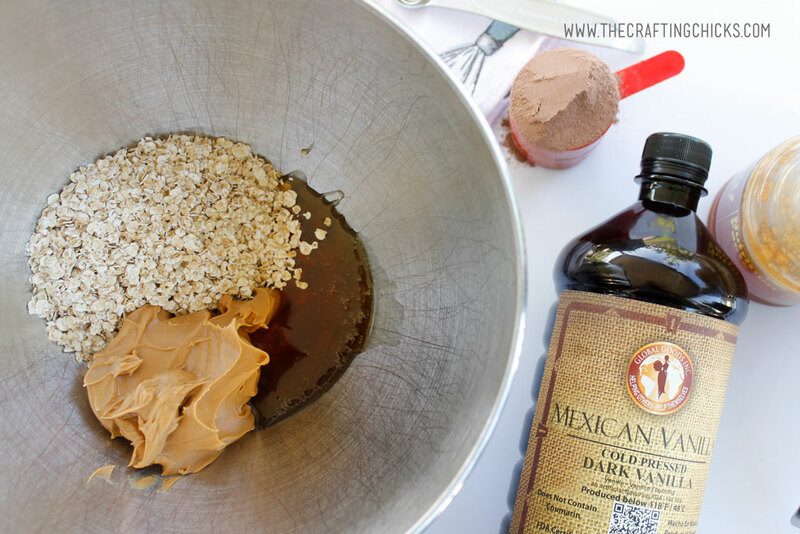 If your house is anything like mine then you need this recipe too. I try to find snacks that are healthy and will keep my kids full. I also want to make sure I have something I can grab and eat without feeling guilty. 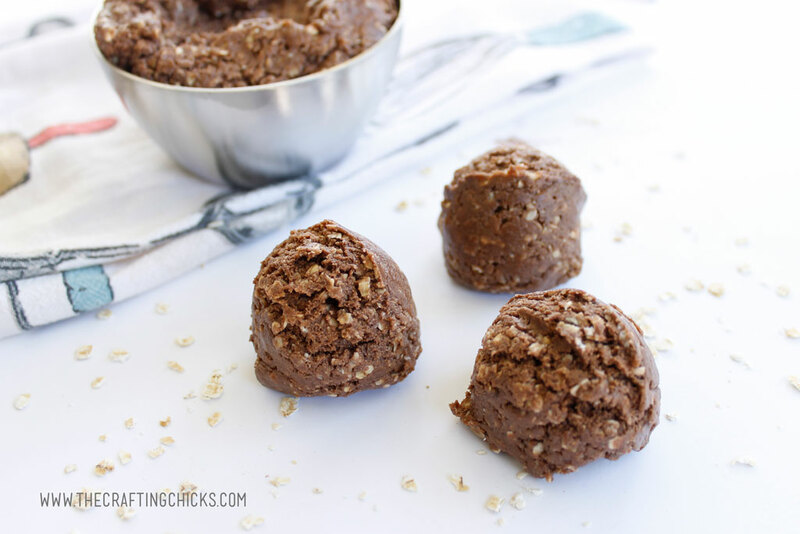 These Chocolate No Bake Cookie Protein Bites are the answer to all problems. 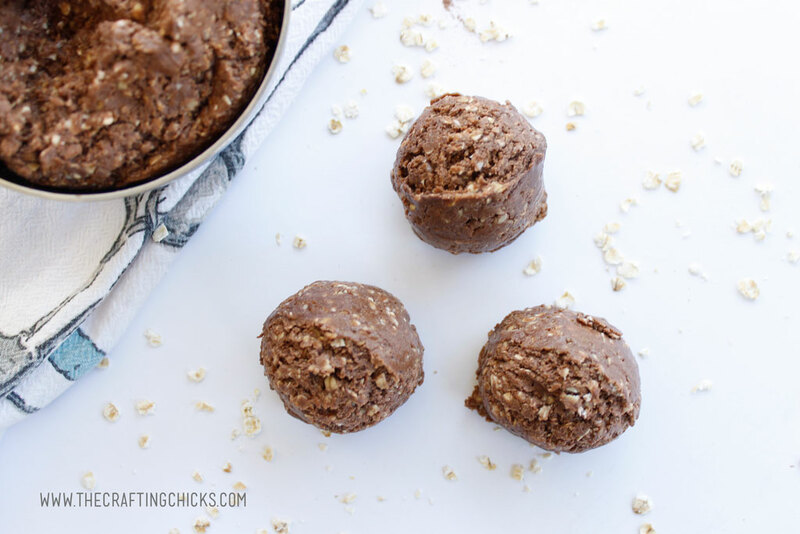 Loaded with protein from natural peanut butter and some added chocolate protein powder will help kick the hungry bug to the curb. After everything is mixed together, you are ready to make the bites. I LOVE using my cookie scoop for making bites. I know that each one will be very similar in size so when I’m counting calories or macros, I can count on those to be on point. 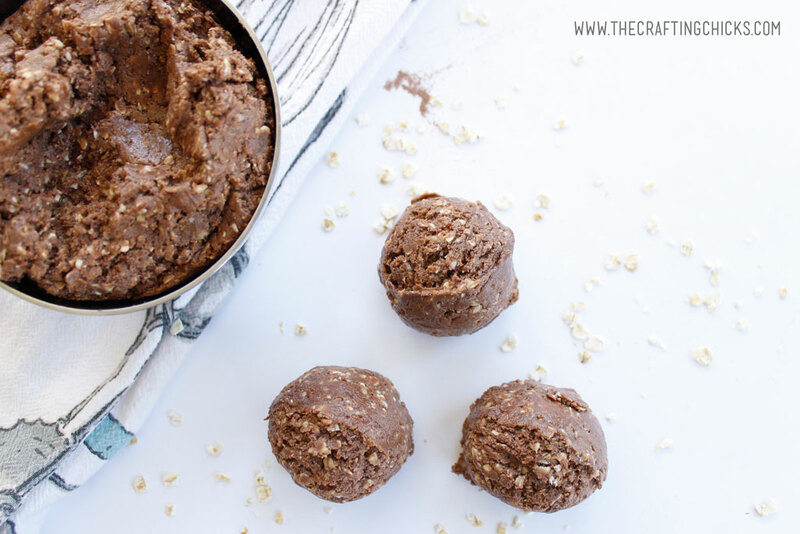 Just scoop up the dough and place the Chocolate No Bake Cookie Protein Bites in a sealed container to store in the fridge. These will stay good up to 3 weeks in a fridge. That’s if you can keep them that long without the family eating them. 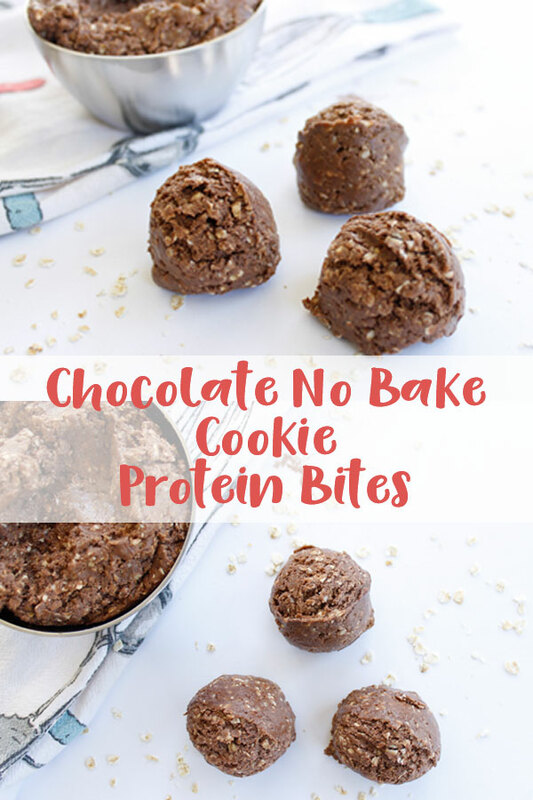 Chocolate No Bake Cookie Protein Bites also make a great snack to take camping, to the beach or lake. 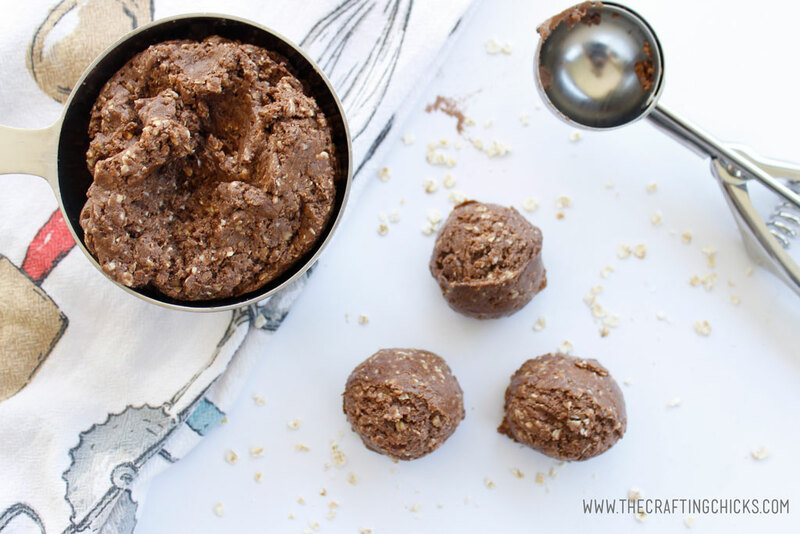 If you feel like you need something sweet but don’t want to grab a candy bar. These are a great option for you. 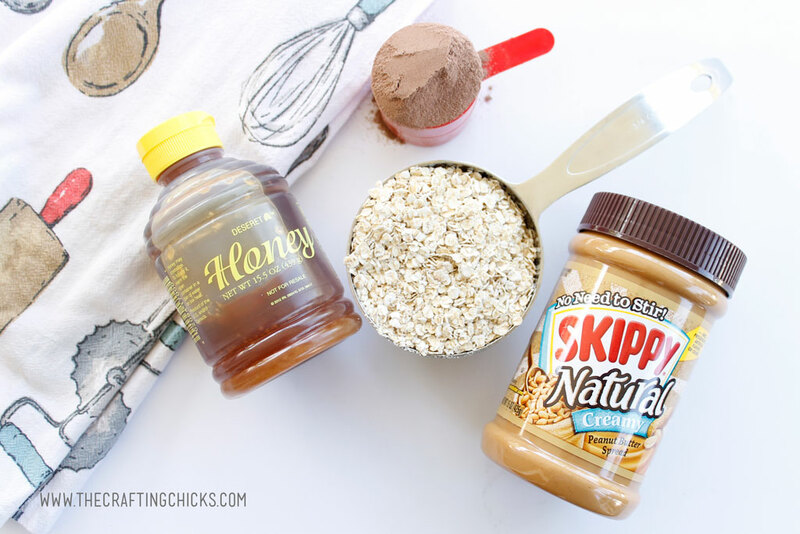 Mix peanut butter, honey, and vanilla together. Add the oats last and mix together well. 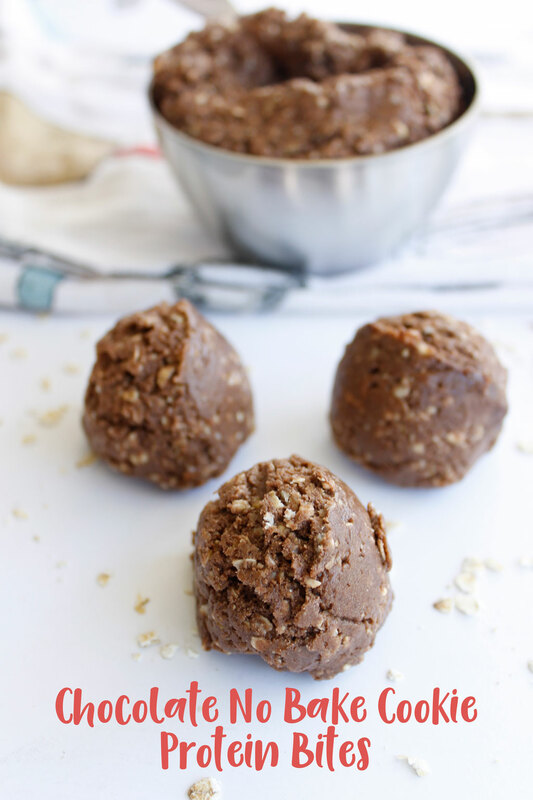 Use a cookie scoop to scoop into balls. Store in the fridge for up to 3 weeks, or freeze. Becky, what would be considered a serving f Protein Powder? Do you have the nutritional info. 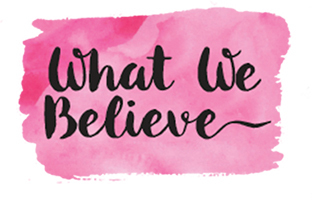 I am a Weight watcher and would love to be able to figure out the Smart Points. Thanks for all you gals do. It depends on the protein powder. Most have a scoop that comes with them and will be measured off of that. I’m sure that the protein has the nutritional information on the back. Hope this helps.